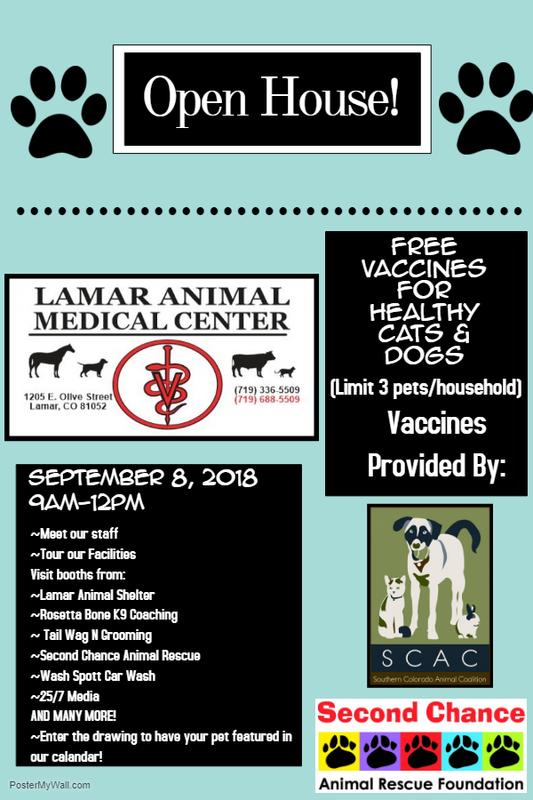 The Southern Colorado Animal Coalition is proud to sponsor vaccines for animals owned by families in need in Southeastern Colorado. Thank you to Dr. Stulp for generously donating your time to make this event possible! Act Fast: Scholarships Available Now! Colorado Animal Welfare Conference Scholarships Available! CAACO & CFAWA are excited to announce scholarship opportunities for attendance and lodging at the 2016 Colorado Animal Welfare Conference held in Blackhawk, CO from September 28 – 30th, 2016. Additional scholarships have been donated by our generous sponsors; AAF, ASPCA, Henry Schein, and Petlink. To apply for the Petlink & CFAWA scholarships, please complete the attached .PDF application and send to Janee’ Boswell at boswellj@bouldercolorado.gov. Petlink will make their selection and you will be notified via email. The selected attendee will be requested to visit the Petlink booth for a photo op during the conference. The CFAWA scholarship committee will consider those applicants that were not selected by Petlink for additional scholarship opportunities. To apply for the CAACO Scholarship please click on the CAACO logo below, and you will be redirected to the CAACO site where you can locate the application requirements and submit your application online. All scholarship recipients will be notified via email after selection. We request that an applicant only apply for ONE of the two (CAACO or CFAWA) scholarship opportunities. Scholarship Applications are due August 26, 2016 by 5PM. 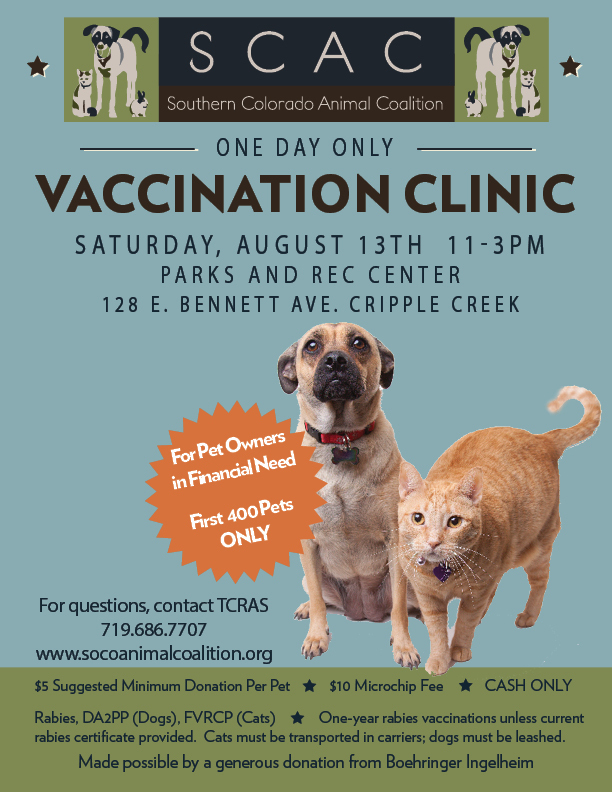 The Southern Colorado Animal Coalition is hosting a one day only, low-cost vaccination clinic made possible through a generous donation from Boehringer Ingelheim.